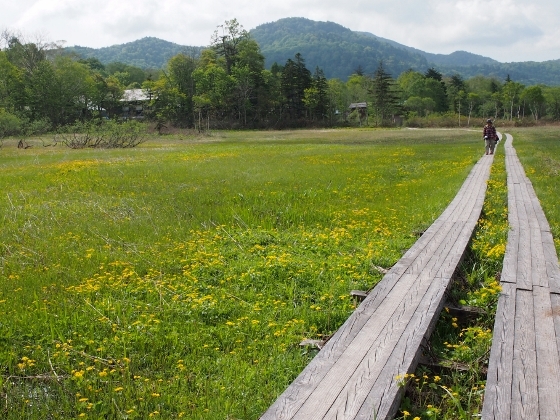 The second day at Oze National Park was a day of trail trekking through marshes between Onsengoya and Lake Ozenuma. 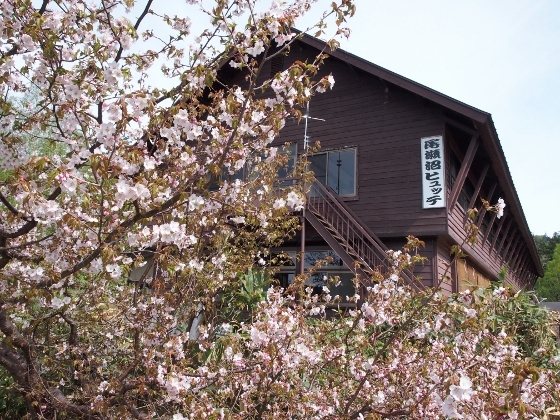 Photo above shows Minezakura cherry trees, a kind of alpine cherry tree, bloom beautiful in the garden of a mountain lodge right beside Lake Ozenuma. 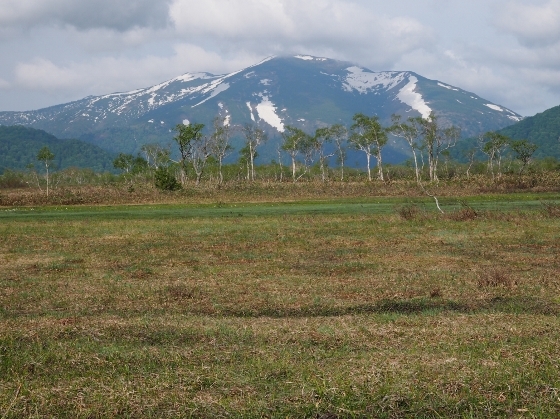 Now, the water of Lake Ozenuma flows out via the Nushiri River which then flows into Ozegahara Marsh. 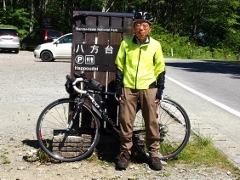 The water from Ozegahara Marsh flows through Hiraname and Sanjo Falls and finally makes the Tadami River. Some of the views and flowers along the trail are shown below. Photo above shows yellow marsh marigold flowers bloom all over the marsh field along the trail. 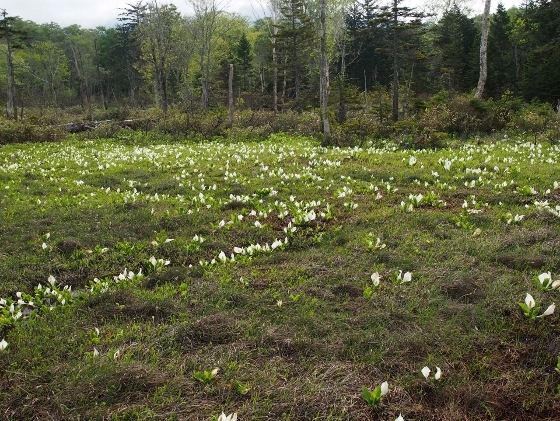 Skunk cabbage is a symbol of Oze National Park because the flowers are seen everywhere in the marshes during May. However, some late flowers still bloom during this time of June as shown above. 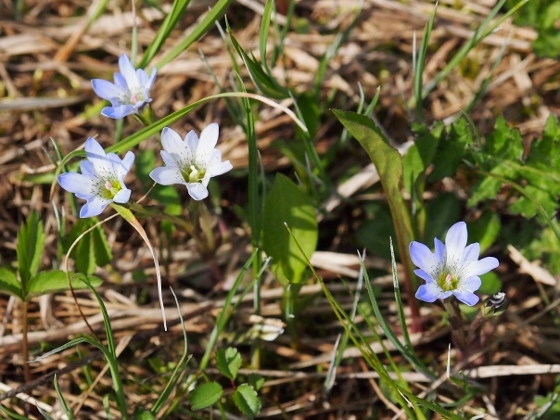 One of early summer alpine flowers, Tateyama gentian could be seen in small clusters as shown above. 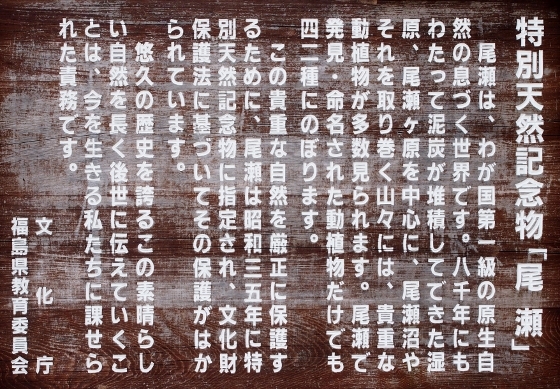 A board shown above told us that Oze National Park was designated as a special version of National Natural Monument in 1960 in order for special preservation. 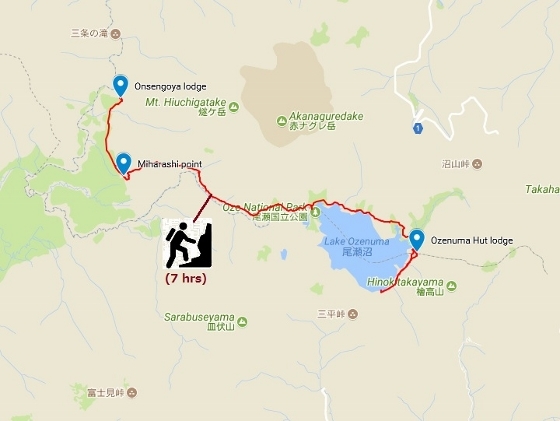 Tonight, I stayed at Ozenuma Hut mountain lodge shown in the beginning.